The Transformers have been around a long time, they're something my children have all enjoyed, from my youngest now at 4, to my oldest who is now 21. They've changed a little over time, but the basic good v's evil storylines are the same, and the Autobots are still there to protect the human race from the Decepticons. 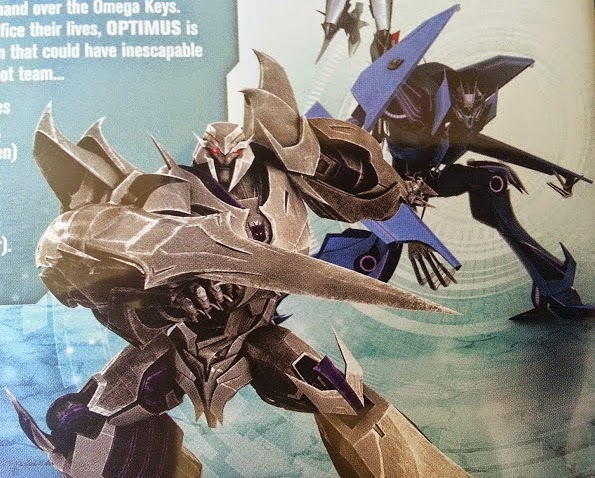 In traditional Transformer style this DVD sees Megatron and the Decepticons capturing 3 of the Autobots and holding them to ransom until the Autobots hand over the Omega Keys - ancient relics that give the holder ultimate power over Cybertron. Naturally a fight ensues and all manner of excitement and battling ensues. The Darkest Hour DVD contains 6 episodes and is subtitled Season 2 Volume 4. The episodes are: Alpha/Omega, Hard Knocks, Inside Job, Patch, Regeneration and Darkest Hour. 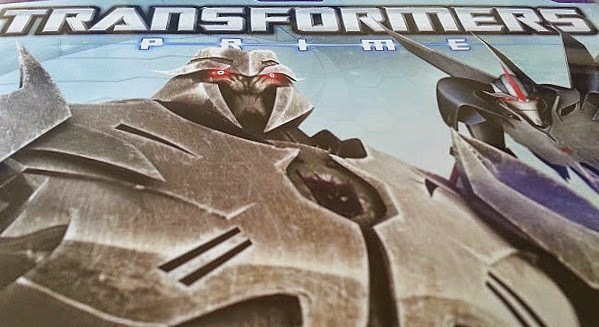 The running time for Transformers Prime: Darkest Hour is 2 hours and 6 minutes and it has a rating of PG. The storylines can be a little more complicated than some children's stories, so it's no surprise that my 6 year old is more drawn into the show than my 4 year old, but they both would watch it for hours if I let them. The animation is CGI, so it's quite different to the original drawn series and really quite slick, it's nicely done and a lot less grainy. The storyline is actually really interesting and has enough detail to hold the attention of older children and even adults. 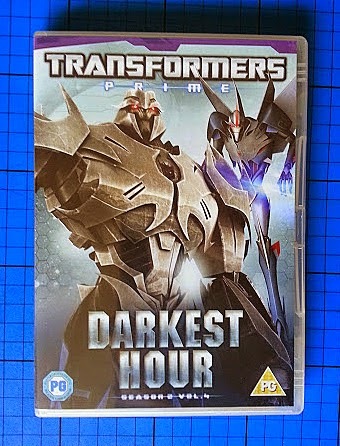 Hasbro Studios have very kindly sent me an extra copy of Transformers Prime: Darkest Hour to give away to one of my readers. Entry is by Gleam form below. The giveaway will end at midnight on Sunday 22nd March, after which no more entries will be allowed or accepted. UK entries only please. See the Gleam form for further terms and conditions. I was sent my DVD for review. a fridge! lol so i can store lot of food! An octopus, so I actually had enough hands to do everything at once! A Bird, so i could fly anywhere and get a bird's eye view of everything. A giant speaker - blowing everything out of my way;...BASSSSSSS! Megan says she would change into a television!! A supermarket trolley to save me trawling the aisles! An aeroplane as I've always wanted to fly. A cat. I could laze around in the sunshine. Definitely a car or any vehicle actually. I have only just started my driving lessons and it's really annoying not being able to drive!